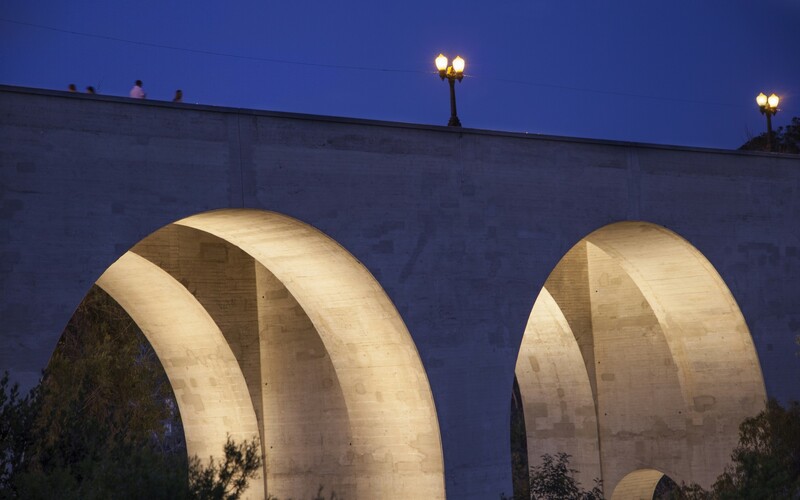 The Cabrillo Bridge, gateway to San Diego’s Balboa Park, was originally built for the 1915-16 Panama-California Exposition. Lighting designers Illumination Arts decided to light the bridge's arches to give it a three-dimensional appearance. 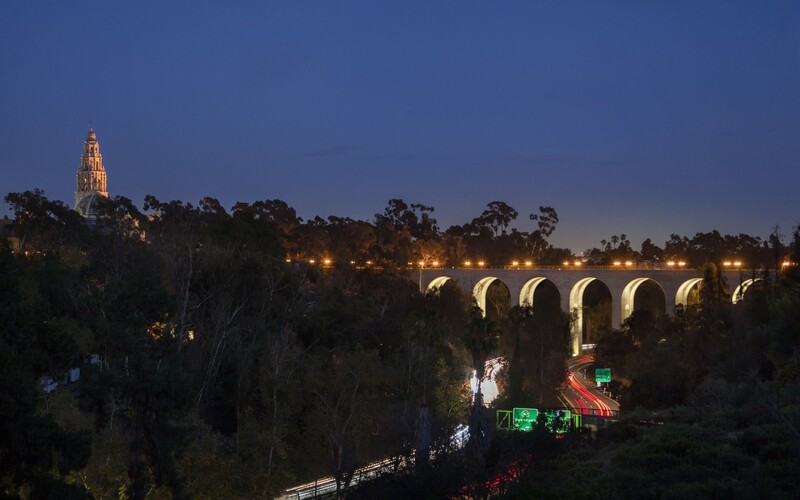 The undersides of the bridge’s 46-foot-wide arches were cross-lit with Lumenbeam Large and Extra Large luminaires in 3000K. 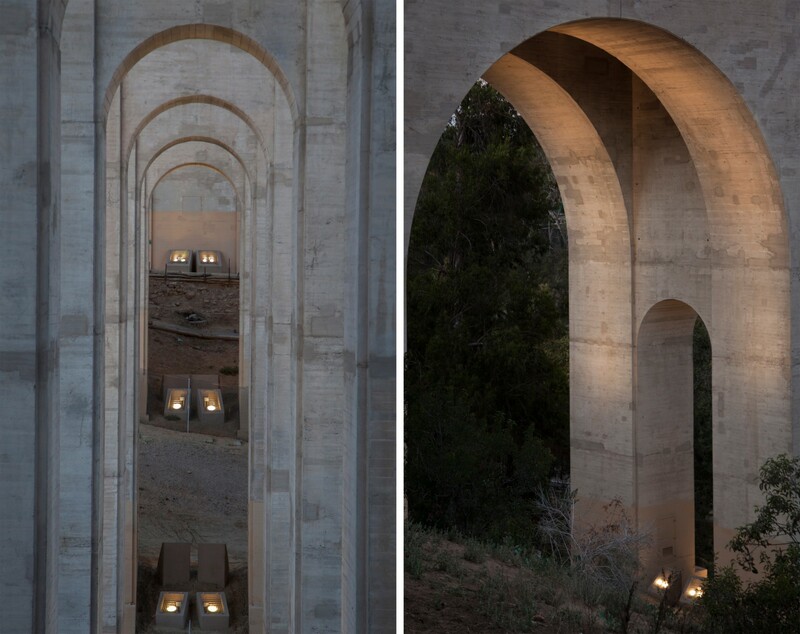 The luminaires are mounted in pairs at the base of each arch. Custom concrete enclosures were installed in between each row of pier legs. 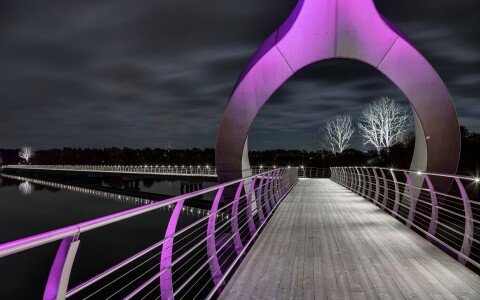 The design highlights the bridge’s height, subtly accenting its form and giving it an elegant presence. The bridge’s form is highlighted from a distance, without interfering with the freeway below or the existing streetlights on the bridge above. 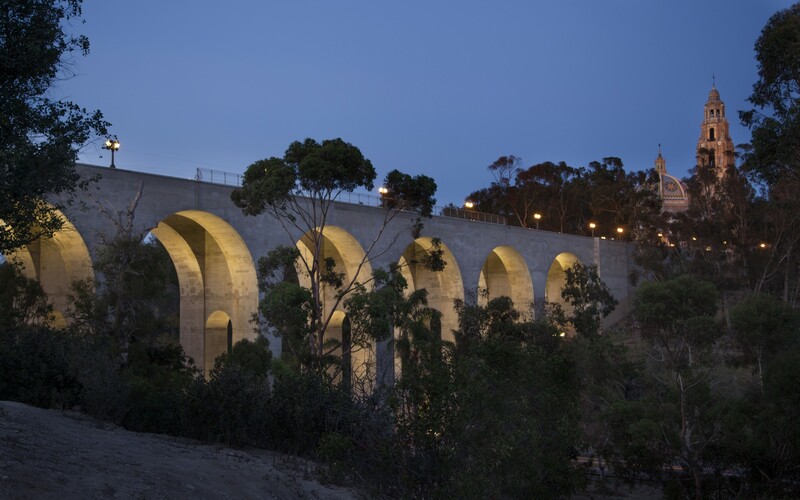 Lighting designers Illumination Arts used Lumenbeam luminaires with a linear spread lens to accent the form of the Cabrillo Bridge, giving the 100-year-old bridge an elegant new identity. 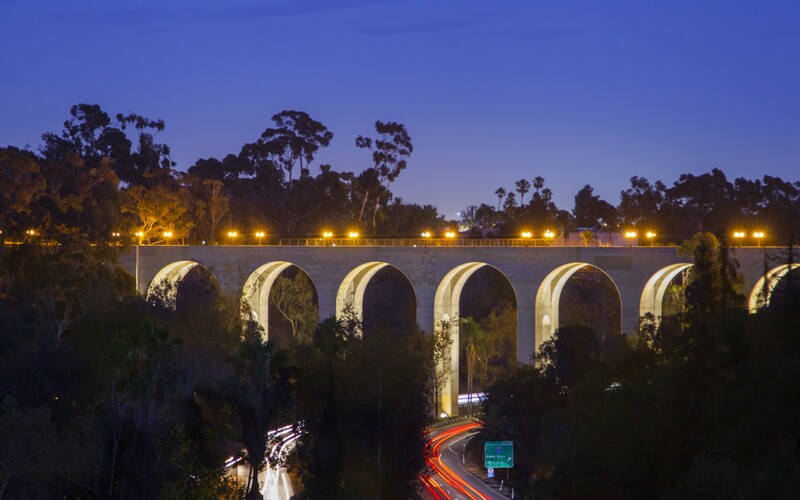 The Cabrillo Bridge, gateway to San Diego's Balboa Park, was originally built for the 1915-16 Panama-California Exposition. 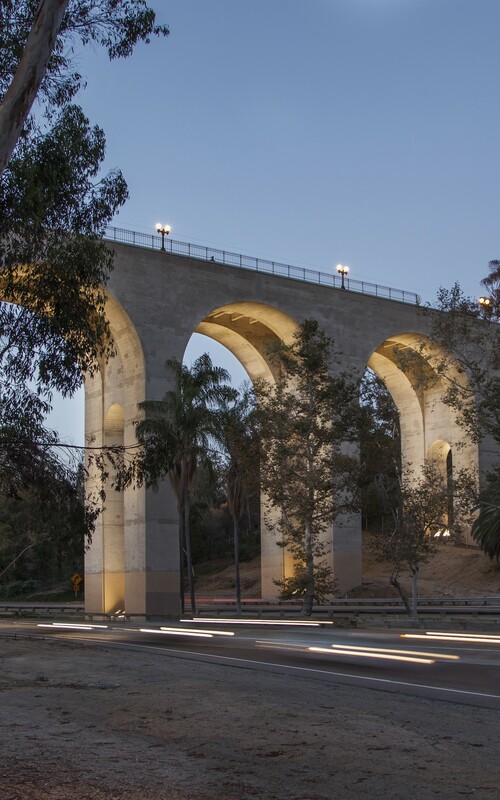 For the 100th anniversary of the park, the city and the California Department of Transportation wanted to put the spotlight on the 769-feet-long concrete structure, which had recently underwent a major rehabilitation. 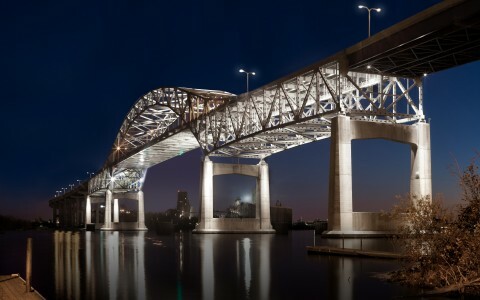 They turned to engineering firm CH2M and lighting designers Illumination Arts, who are known for their work on signature bridges in the United States and abroad. 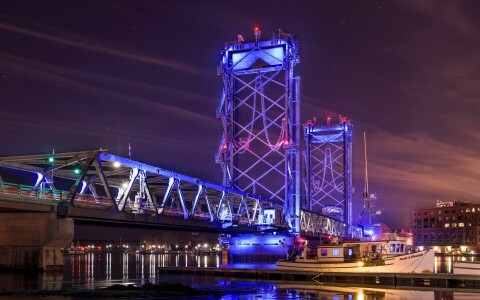 "Their original concept was to light the facade of the bridge, but we looked at it with an aesthetic eye, and started thinking about other solutions; about what was going to reveal the bridge in the most flattering, beautiful way,'' says Elizabeth Johnson, Senior Designer at Illumination Arts. 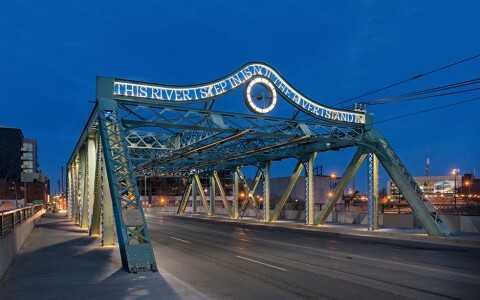 "We came up with the idea of lighting the inside of the bridge's arches, to turn the facade of the bridge into a silhouette, which would give it a more three-dimensional appearance," says Faith Baum, Principal at Illumination Arts. 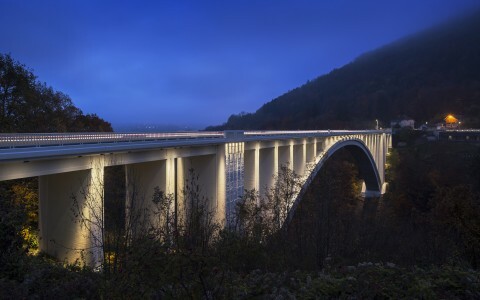 Baum and Johnson chose to cross-light the undersides of the bridge's 46-foot-wide arches with Lumenbeam Large and Extra Large luminaires in 3000K. 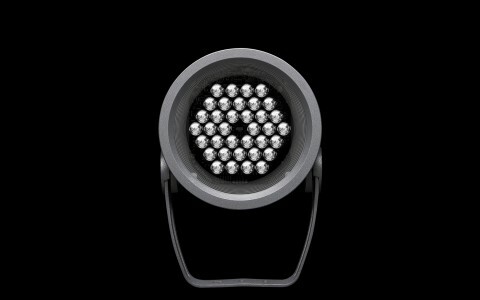 The luminaires, which are mounted in pairs at the base of each arch, use a narrow-spot beam and a precise linear spread lens to align the fixtures' beam with the target surface. This highlights the bridge's form from a distance, without interfering with the freeway below or the existing streetlights on the bridge above. "It was the perfect beam spread for lighting up those legs,'' says Johnson. "It keeps the light only on the bridge; without spilling lighting." 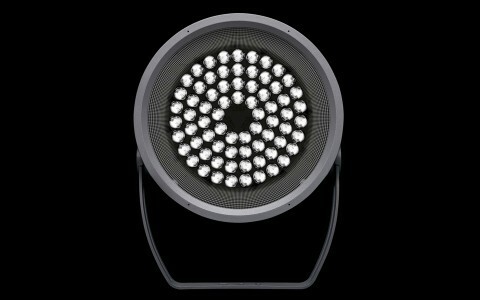 There were, however, numerous other challenges in lighting a historical structure of this size. "We couldn't attach anything or modify the structure, and there are trees that we couldn't cut down," says Baum. To counteract this, the Illumination Arts team created custom concrete enclosures, which are installed between each row of pier legs. "Doing something like that was new for us, but we wanted to make sure that we provided an even coverage. 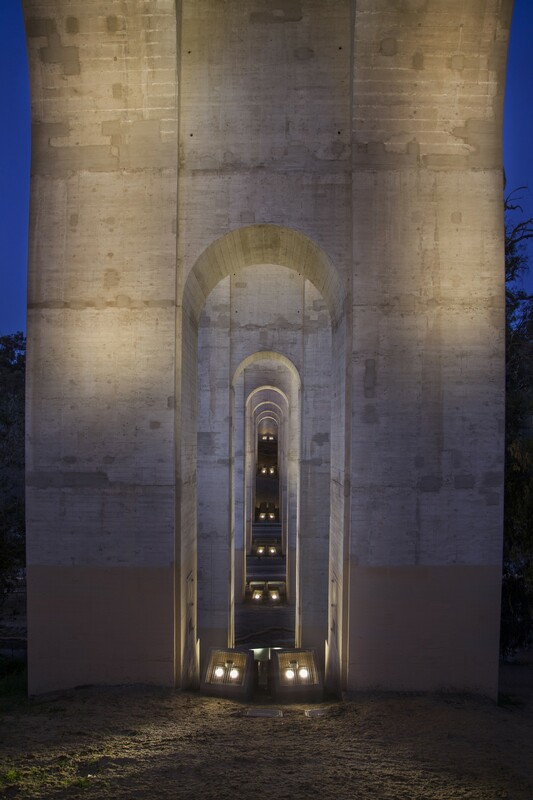 Each concrete enclosure has been designed for a specific location, and by hiding the luminaire inside the pier leg, when you look at the arch straight on, you're not seeing the light sources. When you look at it in elevation, the fixtures are tucked in so they don't interfere with the profile of the bridge,'' says Johnson. The design highlights the bridge's height, subtly accenting its form and giving it an elegant presence. "There was a lot of attention in the local newspapers and it seems to get a very positive response. We know that California Department of Transportation is really pleased with it," says Baum.